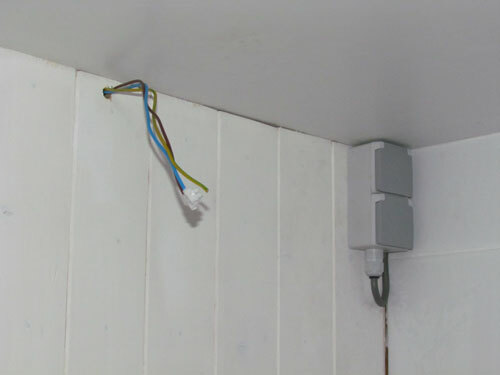 28th December 2010 – Today we connected the wires to the fusebox. 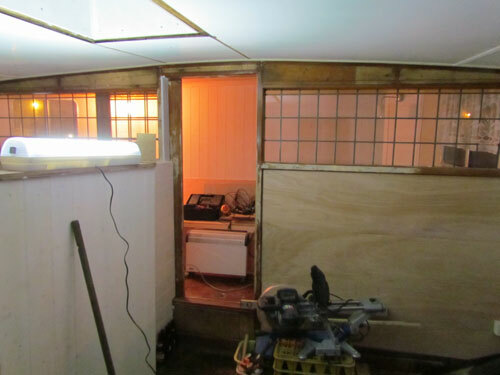 I now have electricity in the engine room and back accommodation, as well as in the wheelhouse. 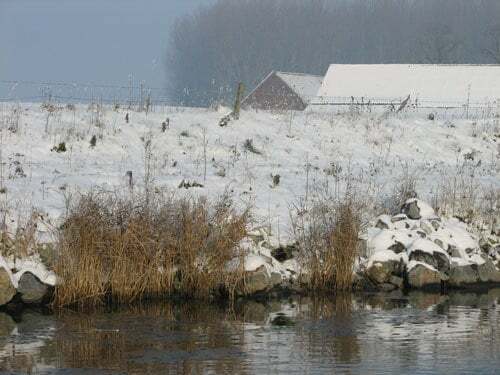 27th December 2010 – While it is now exactly five years ago we discovered the Watergeus abandoned in Sluiskil, it was the back accommodation that attracted both of us (and the price). 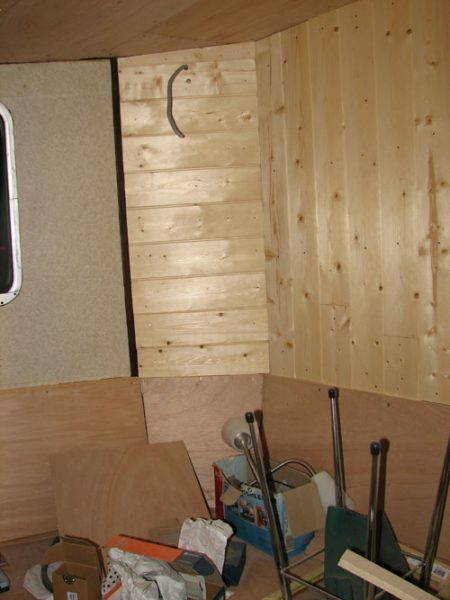 Now five years later, the back accommodation has been rebuilt. 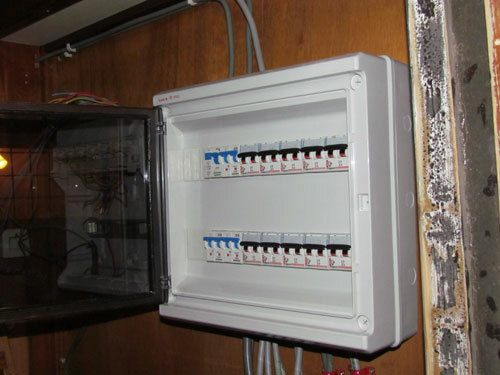 I mainly worked on the new electricity, putting wires and building the fuse box. In the afternoon I did some painting. 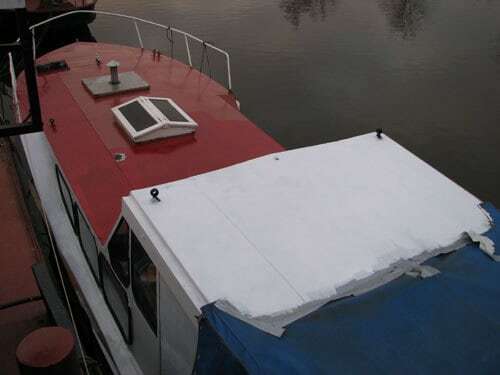 11th December 2010 – Today I did a quick paint job on the yacht. I removed most of the rust and painted her. 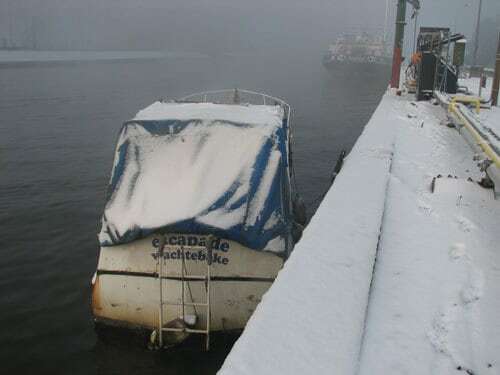 Not the perfect weather and certainly not cleaned enough, but it is important for the boats to look good, certainly over here. 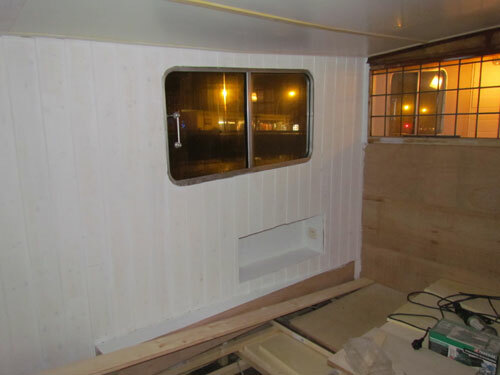 In the morning I finished the tiling of the shower aboard the Watergeus. That area is now nearly finished. 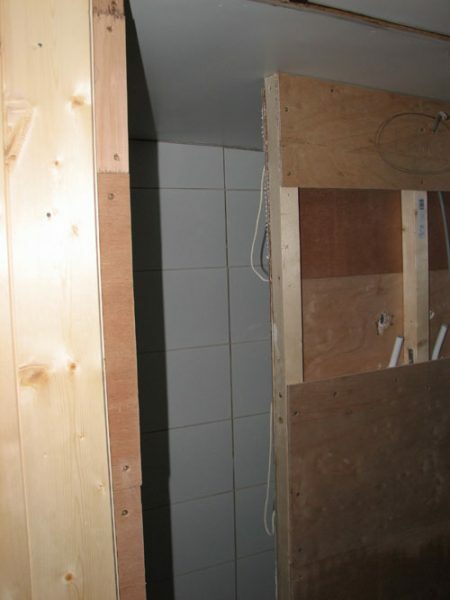 10th December 2010 – Instead of working, I started making some drawings for the kitchen in the back accommodation. 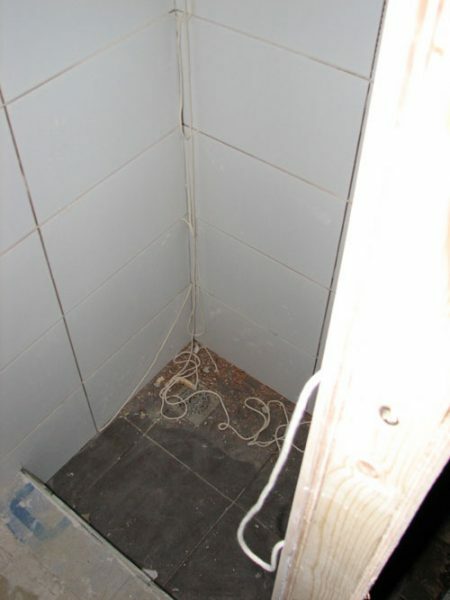 6th December 2010 – The shower was tiled today. 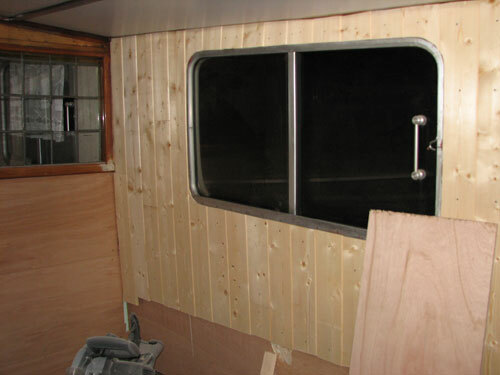 The back accommodation starts to make a difference. 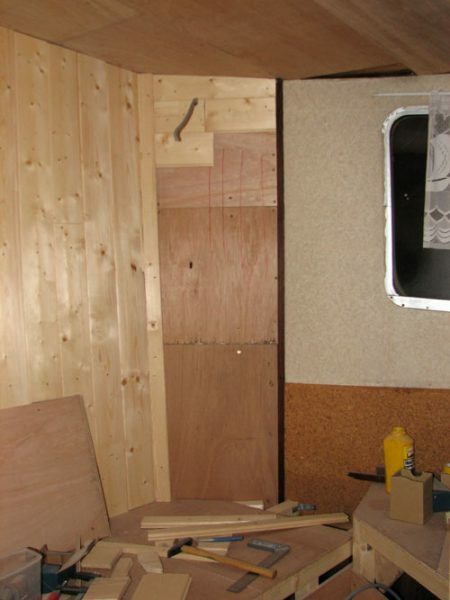 5th December 2010 – The part of the back accommodation that needs to be done the most is the sitting area. 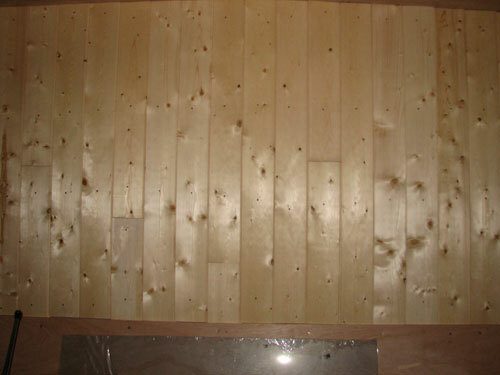 I need to finish the pine wood and the ceiling. I tried doing both today. 4th December 2010 – I just received the news that one of the neighbours and close friend, Rogianne Gaytant has passed away after a tragic bus accident in Peru. 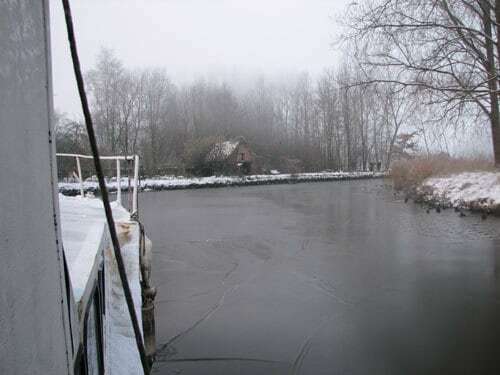 3rd December 2010 – Imagine a foggy day with temperatures up to 13°C below the freezing point! Well that was our journey to Bruges. 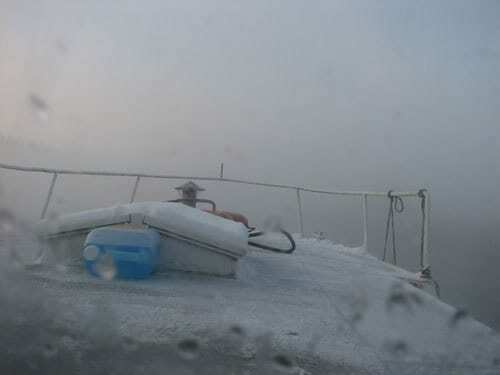 No snow and no wind, that was what I remembered that morning on the weather station. Temperature would even go to 2°C above freezing point. 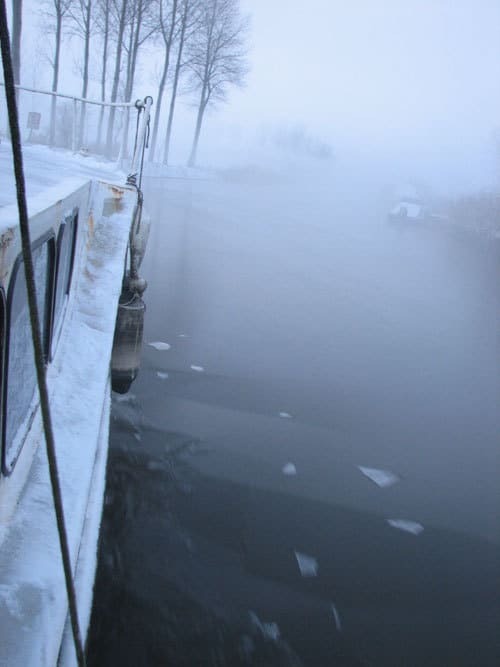 When we left Wachtebeke, after a few minutes fog came up. It was so thick we could hardly see the bow of the ship. 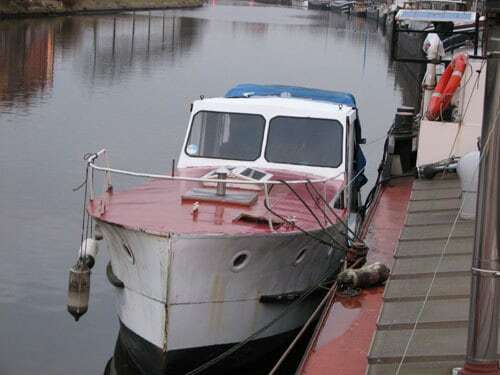 Barges moored along the canal and land was invisible. 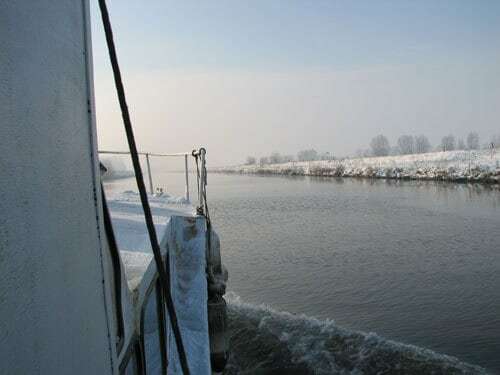 We sailed slowly and decided to wait till the weather was better before crossing the big canal Ghent-Terneuzen. 2nd December 2010 – The whole day I was nervous. It was extremely cold, all the roads were dangerous. I didn’t want to take the risk of driving anywhere. A neighbour brought a new battery for me. Thanks Jan! I went to the shop looking for anti freeze, start pilot and other tools. Tomorrow is a big day. 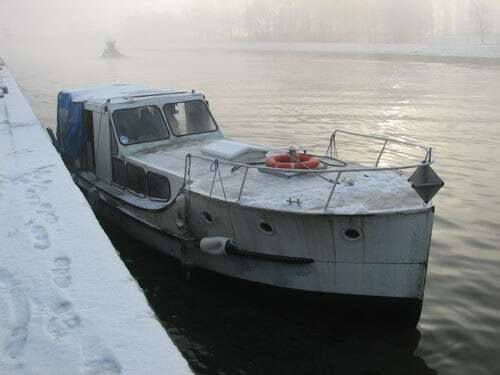 1st December 2010 – I’m away tomorrow, sailing on Friday and I haven’t prepared a single thing. I need fuel, gearbox oil, food, tools, paperwork and a lot more.